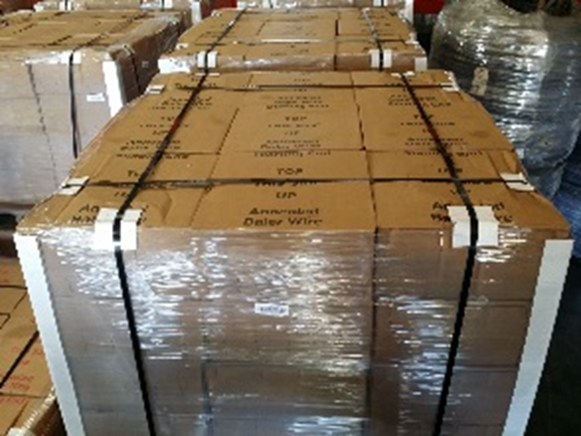 Box wire plays an important role in the operation of many warehouses. When loose materials need to be secured, it is often this type of wire that is called into action. To make sure your wire is up to the task you have in mind, order from Vulcan today. 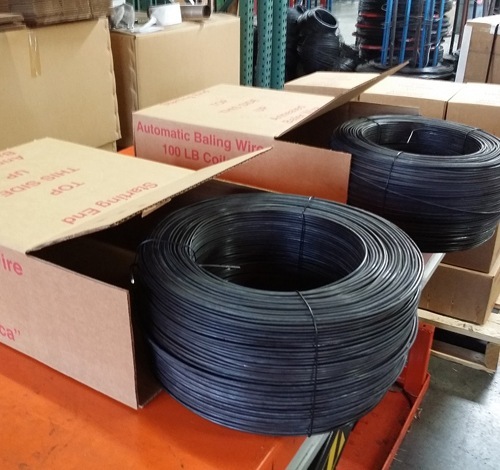 We offer box wire made with 1018 carbon in 100-pound coils designed to fit horizontal balers. We have three gauges available—10, 11, and 12. For your convenience, we deliver the coils in a cardboard box, which has a perforation matching the center of the coil. This makes for an easy handling process, allowing you to get up and running in no time at all. Here are the sizes available for our box wire. Contact us for help to determine the correct size for your baler. One of the advantages of opting for our black annealed box wire is the fact that it can handle so many tasks. Baling loose paper and cardboard is a common job for this type of wire, but that’s just the beginning. It can also help you package up scrap metal, plastic, and much more. The tensile strength of this wire is a big reason why it is able to handle so many jobs successfully. If you need to produce dense, heavy bales of material, consider our box wire as your product of choice. 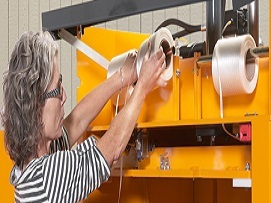 If you have any questions about our baling wire products or if you need help understanding what kind of wire is required for your baler, please feel free to contact our team right away. We have extensive knowledge and expertise, and we’ll be happy to assist. 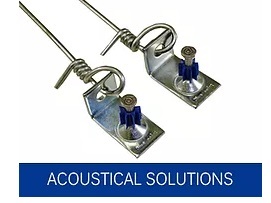 Vulcan Wire is committed to the success and satisfaction of our clients from start to finish, and we are as dedicated to customer service as we are to the quality of our products. Order today!